I think this year I will be working on different lists for the entire month. Those will include bucket list completions and other goals I have had through out life. If you have a comment, addition, or anything else to say about the lists, drop me a note. I will continue to search the Blogger participating in the A to Z Challenge this year and look forward to all the fun that will be had this month. Today I am going to list all the Automobiles I have had throughout my life. This is a list of my Automobiles. I still have the 2010 Acura RDX, 2014 Ford Fusion and 2000 Ford Ranger. What was your favorite Automobile? 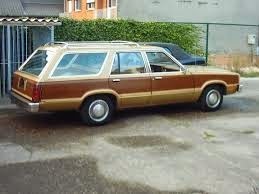 I learned to drive in an old station wagon like that. I also loved my Ford van, until we wore it out completely. Looks like you've had quite a nice list of cars.